CAKEWALK BAKE SHOP: Go Naked! Yesterday we worked with fabulous photography duo (and sweetest married couple) The Qs of Ben Q Photography on a little wedding cake shoot. It was so much fun! We collaborated with Bows and Arrows on the floral styling of the cakes (cuz what goes better with cake than gorgeous blooms?? Nothing, I tell you!) and had the joy of playing with their incredible collection of unique and bold flowers and succulents. I love getting lost in their world; it is such a beautiful place. 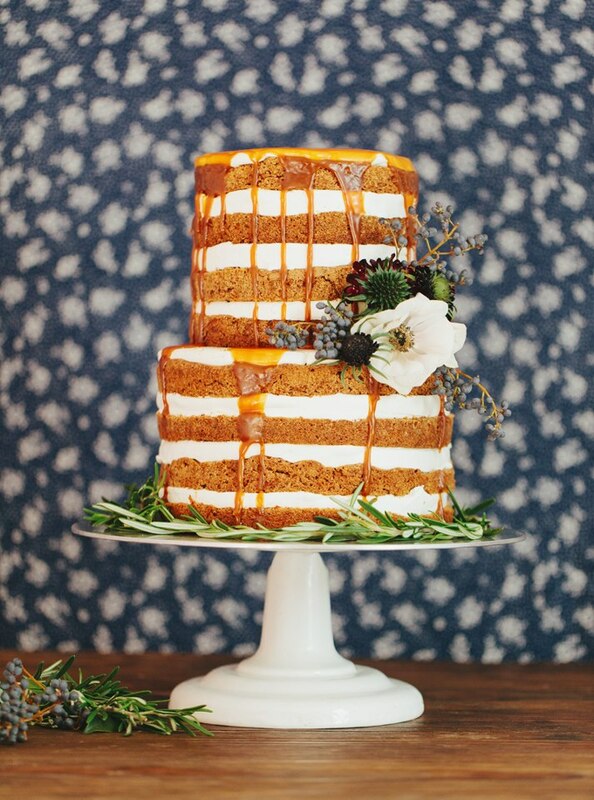 Here's a little sneak peek from the shoot of our carrot cake with salted caramel glaze, styled out with rosemary and gorgeous dark blossoms and buds. Perfect for a rustic, yet stylish soiree! Gorgeous photography by Ben Q Photography, as alway!